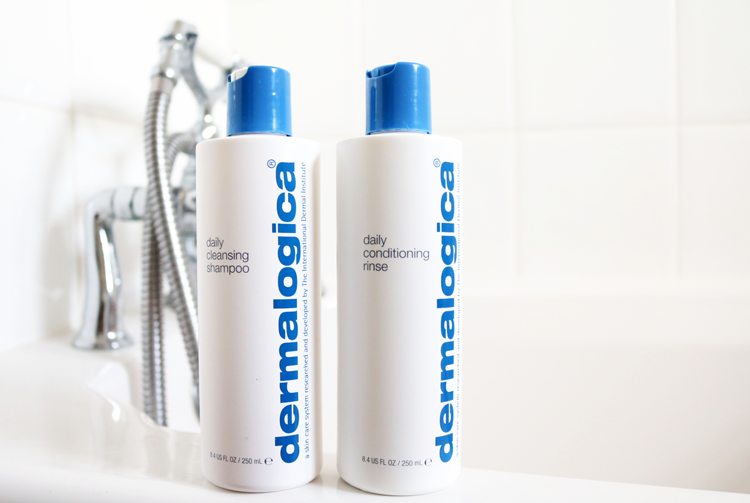 As I'm always on the hunt for a new SLS-free shampoo to experiment with, I was excited to hear the news that Dermalogica had released this brand new sulphates-free haircare duo back in December. I had to try them! Dermalogica are of course better known for their industry-renowned skincare products (I particularly love their face masks, especially the Charcoal Rescue Masque which is superb for clearing up blemishes), so this new launch is the brand's first appearance in the world of haircare. Both the shampoo and conditioner are formulated without sulphates, parabens, artificial fragrances or colours which are the main ingredients that I tend to avoid as my scalp is quite sensitive, and it can get irritated easily when I use the wrong things on it. I've been testing this pair out for around 3-4 weeks, so here are my thoughts. Despite being SLS and sulphates free, this shampoo lathers up extremely well and it would be something that I'd recommend to those who want an SLS-free shampoo, but hate the ones that don't lather. It has a fresh, clean fragrance which comes from a mix of Grapefruit, Lavender and Geranium essential oils, and it does a fantastic job of cleansing my hair without stripping it. I was expecting this shampoo to be a lot more clarifying, so I was pleasantly surprised with how soft, shiny and manageable my hair was afterwards - this is probably due to the Argan, Avocado and Coconut Oils in the formula that added a much-needed shot of moisture to my parched hair without overdoing it. A great shampoo that's gentle enough for daily use, and one that didn't annoy my sensitive scalp. It's pricey, but you don't need to use much of it each time, so I imagine a bottle of this size will last you a good while. With the same lovely scent as the shampoo, I was looking forward to trying out the matching conditioner, but alas, I felt like it's better suited for a different hair type to my own. My hair is naturally quite dry and whilst this conditioner contains nourishing and strengthening ingredients such as Panthenol Pro-Vitamin B5, it just wasn't enough to tackle my notoriously dry ends. However, I have tried it in conjunction with some pre-shampoo hair treatments which has given me good results, but on its own, I'd say it's definitely better for people with oily or normal/less dry hair than mine.